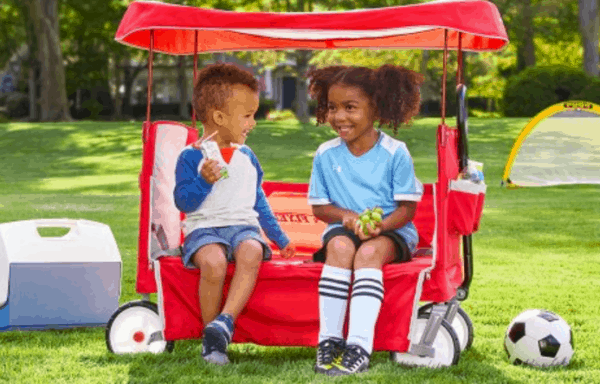 Head over to Amazon today to score this HIGHLY-RATED Radio Flyer EZ Fold Wagon with Canopy top for under $80! (Reg $110) **It's also this price at Target – if available near you for pickup! I was reading through the reviews and GOSH I wish I'd had this thing when mine were little!